This release features several usability improvements to Tigris, the online workflow authoring tool which is part of LearnSphere. We appreciate the feedback we have received at workshops and conferences and have addressed many of your comments in this release. Attach your papers to your workflows. Allow other Tigris users to easily access work you have published referencing your workflows by attaching papers to workflows. They may be provided as URLs or uploaded directly to Tigris. An indicator shows which workflows have papers attached. Papers can be attached via the "Link" button in the workflow editor. Once added, papers may be linked to any number of workflows. Copy, paste and move multiple components. This feature can allow users to easily create a workflow to run over several different input files (or DataShop datasets). Copy and paste one or more components to extend a workflow or select groups of components to rearrange them, as a group, in your workspace. You can select components with left-click and drag to create a selection rectangle, or select components by clicking with the ctrl or ⌘ (command) keys. 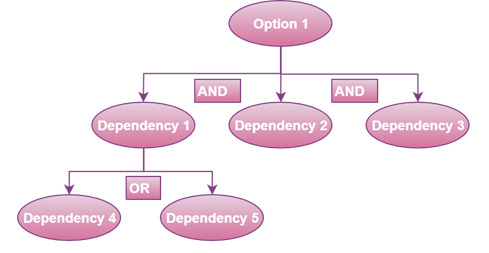 Data and options are retained during a copy/paste operation. Links included in annotations and descriptions are now clickable. Attaching an imported file to a DataShop dataset allows that file to be used in other workflows. With this release, new DataShop projects and datasets can be created directly from the Import component. We've added a progress bar for uploading larger files. New and updated workflow components. Transaction Aggregator. This component generates a student-step rollup from a tab-delimited transaction file. The student-step rollup is the required input for several of the Analysis components, e.g., AFM and BKT. Tetrad Search. This component now implements the FASK search algorithm. Also, the Tetrad components now use the latest version of the Tetrad libraries (v6.5.4). Assessment Analysis. This component is an extension of the Cronbach's Alpha component, adding columns for: (1) each item's percent correct, (2) the standard deviation of the correctness and (3) the correlation of each item to the final score. Learning Curve Visualization. The component now supports categorizing learning curves 'By Student' as well as a composite curves option, e.g., 'All Students' and 'All KCs'. We consolidated Import functionality into a single component. Now, choosing a data file is simpler because the file type hierarchy is built into the import process. In the new Import options panel, you'll be prompted to specify your file type, which will then filter the list of available, relevant DataShop files. Alternatively, you can upload your own data file in the other tab, as shown below. Most of the Tigris components now have tooltips which contain information on what the component does, the required input(s) and the output(s) generated, as well as the component options. DataShop is funded by a National Science Foundation grant (SBE-0836012) to LearnLab, the Pittsburgh Science of Learning Center. Previously it was funded by NSF award number SBE-0354420.